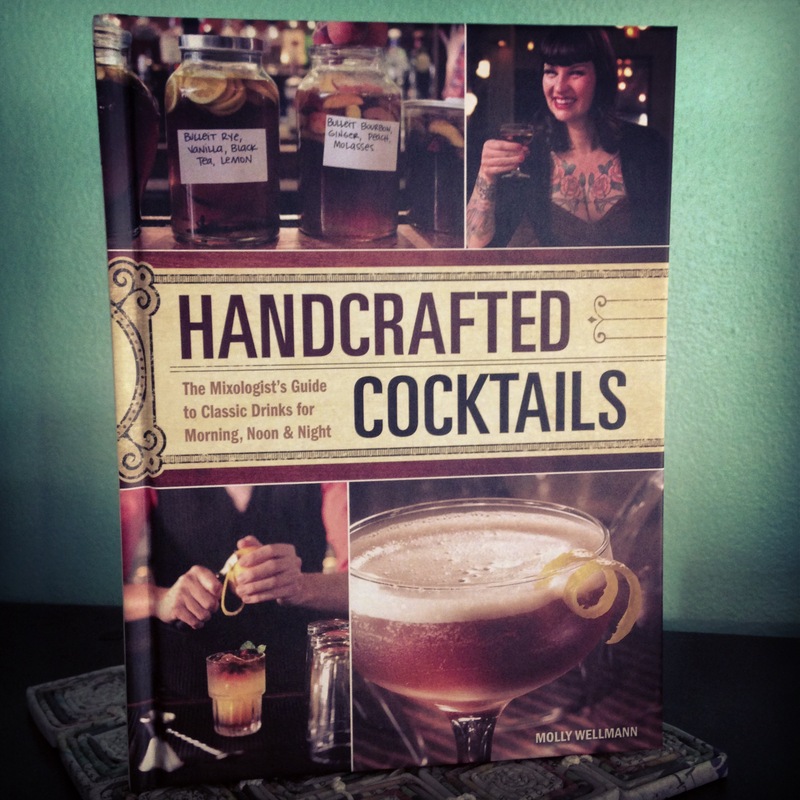 After months of buzz and anticipation Cincinnati was finally able get their hands on Handcrafted Cocktails: The Mixologist’s Guide to Classic Drinks for Morning, Noon & Night by mixologist and local alcohol-celebrity Molly Wellmann. The book’s Cincinnati launch was held last Thursday at Molly’s bar Japp’s Since 1879 so of course I was there to get my autographed copy and to check out a few of the cocktails that Molly was demonstrating from the book. Here are some of the highlights of the evening. Molly signing books and looking fabulous. She likes us, she really likes us! 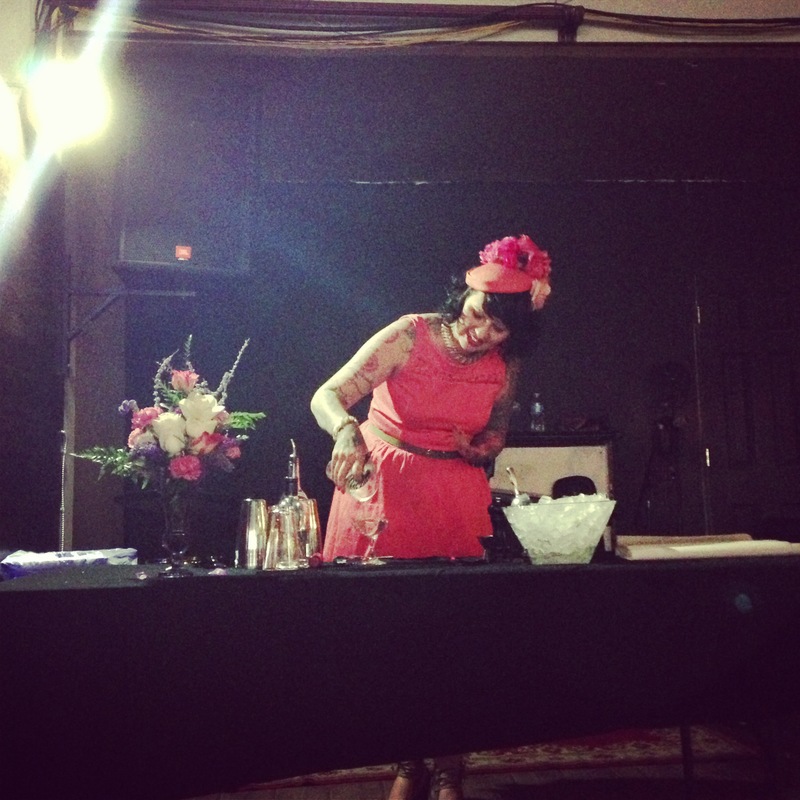 Molly making a “sweet heat” cocktail. I haven’t gotten a chance to dig into the book too much yet but it looks great so far. I really like that she divided the chapters into times of day, “Drinks for the Morning” and so on, and then in each chapter categorized them by the main spirit used in the cocktail. 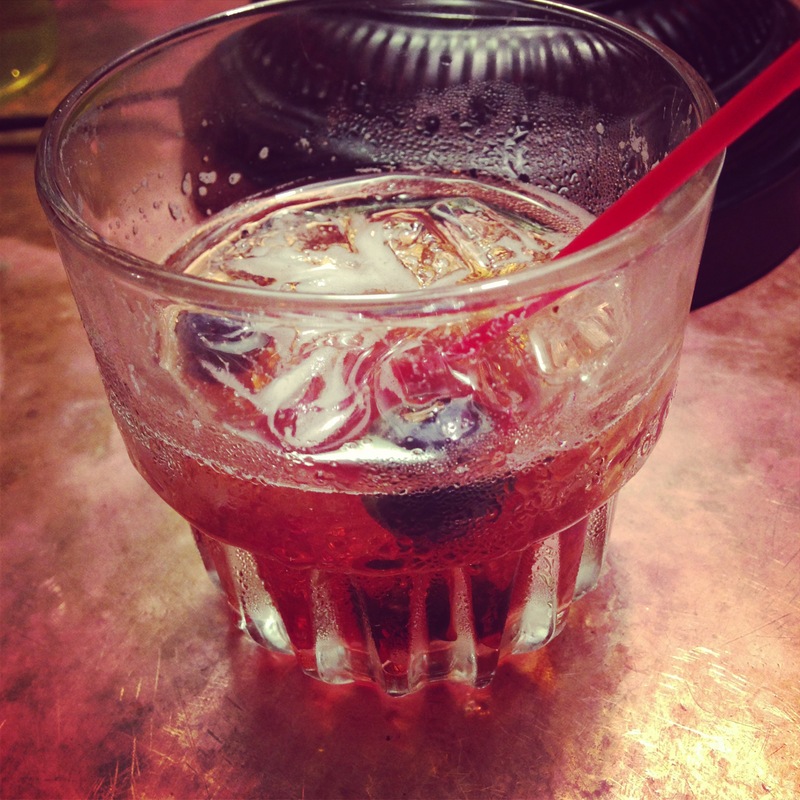 The recipes are a mix of classic cocktails with the stories to go along with them, as well as original creations. 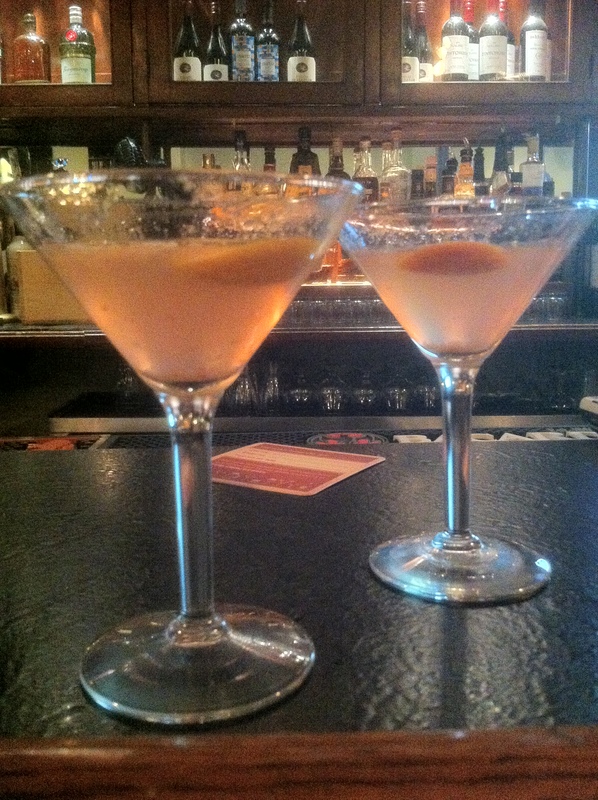 We tried two of the original recipe cocktails featured in the book, Little Boy Blue and the Sweet Heat. 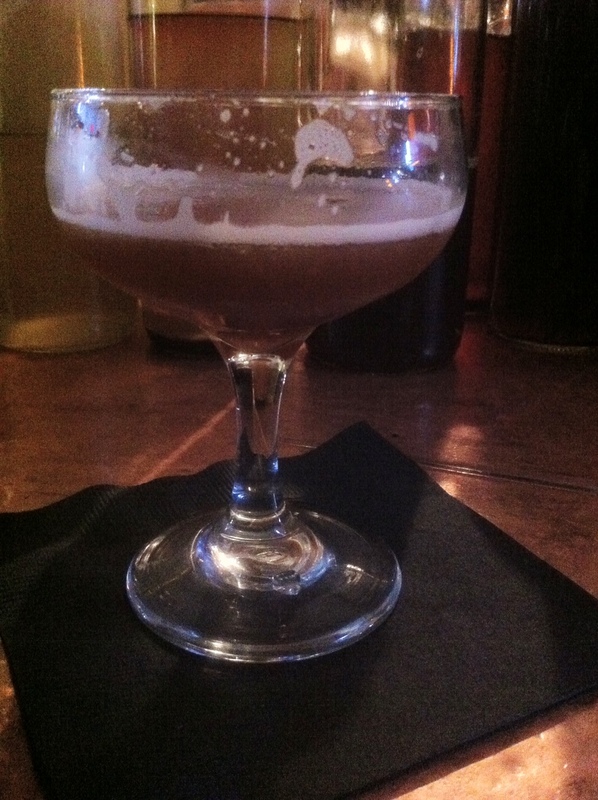 Little Boy Blue: bourbon, blueberry simple syrup, and a stout floater. Sweet Heat: vodka, jalapeno simple syrup, and salt & pepper. It was a great night out. Charlie and I really enjoyed the food, drinks, and atmosphere of the event as well as running into other local writers like Sharon Rudd and Anne Mitchell who were checking out the books as well. Of course the dangerous thing about starting to drink in Over the Rhine is that there are so many places to continue drinking once you’ve gotten a few under your belt. 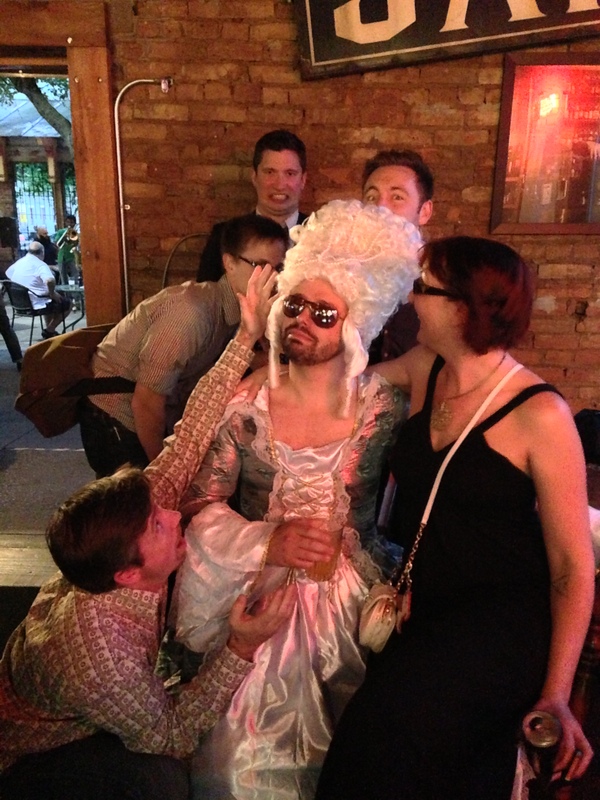 We ended up at friend’s birthday party being held at Neon’s once we were done and the next thing you know we are having a drink at Arnold’s with a guy dressed up like Marie Antoinette. All this for 33 cents. Too good to be true? Japp’s since 1879 has been generating buzz with their craft cocktails and frequent retro-inspired events ever since they opened on Main Street in Over the Rhine a few years ago and this week is no exception. 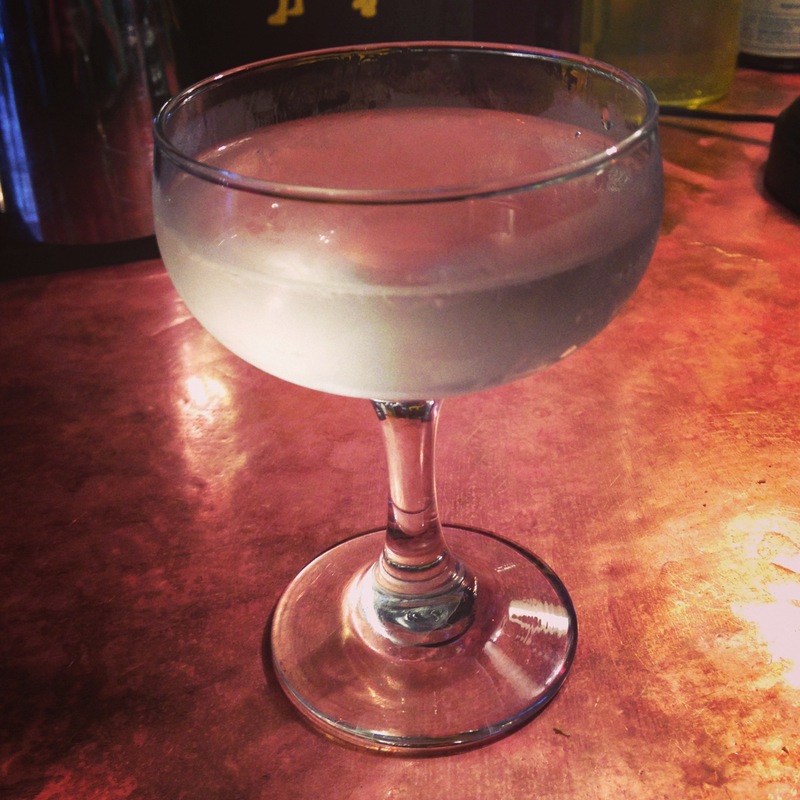 Last Friday Japp’s introduced their Prohibition-priced happy hour with .33 martinis. That is an unheard of price for a drink and with my recently discovered love of martinis, course I had to check it out right away. My first surprise was that this was not a one-off event. Even with bulk and wholesale pricing I figure that a .33 martini has to be a money-losing operation. Of course these martini’s are one-per-customer, but I did assume that this was a special event. Perhaps to celebrate Groundhog Day or to commemorate the anniversary of the first publication of the Oxford English Dictionary. But I was delighted to learn that this will be the price of martini’s from 4-6 pm everyday that Japp’s is open for business. My second surprise was not really much of a surprise but these are really good martini’s. I wouldn’t have expected any less of Molly Wellmann of course but the price and the fact that I had never had Plymouth Gin before did make me slightly nervous. In truth I suspected that I would be getting a good drink but served in miniature proportions. Instead it was a full-sized martini with two healthy olives served along with it. The picture above doesn’t quite capture the original martini because I was too busy enjoying it to remember to take pictures. The Blood and Sand after Ginny had a few drinks. Upon further reflection the logic behind the so cheap-they’re-practically-free pricing becomes apparent. It is easy to stop by somewhere for beer after work and leave after one. 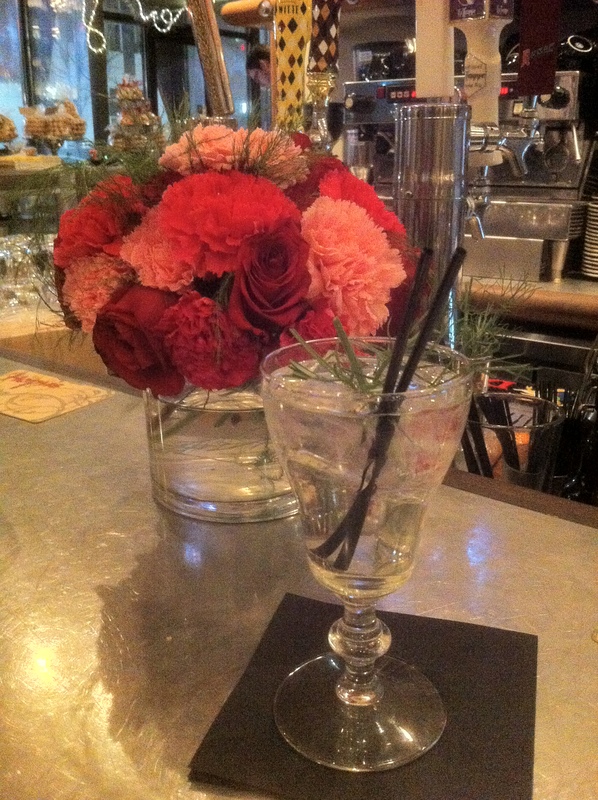 After a martini it somehow seems a little easier to forget the responsibilities waiting for you at home. 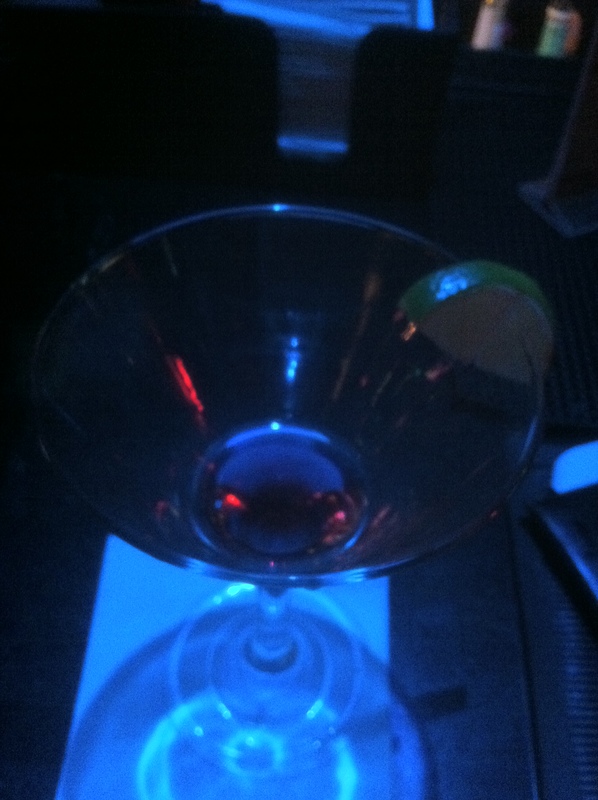 Plus, once I had my martini I realized that I still had plenty of money left to try another cocktail. 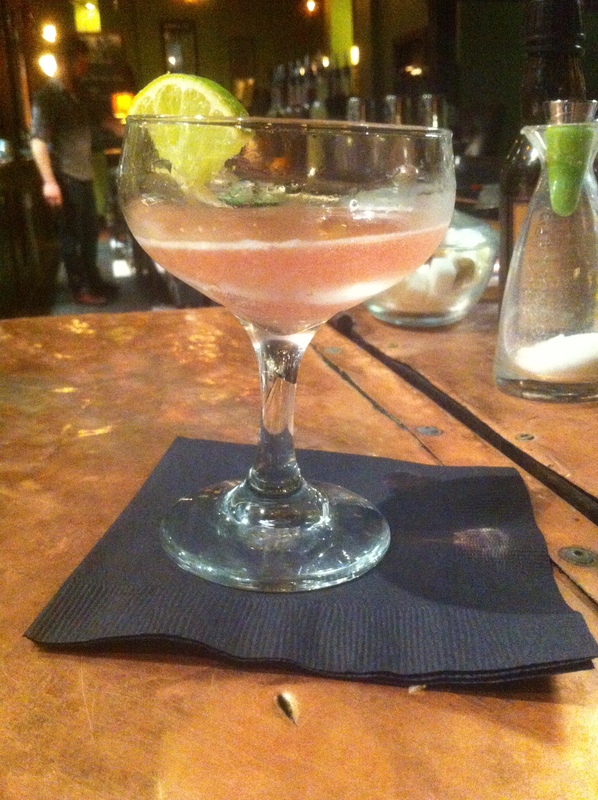 I opted for a classic cocktail of the silent film era, a Blood and Sand. 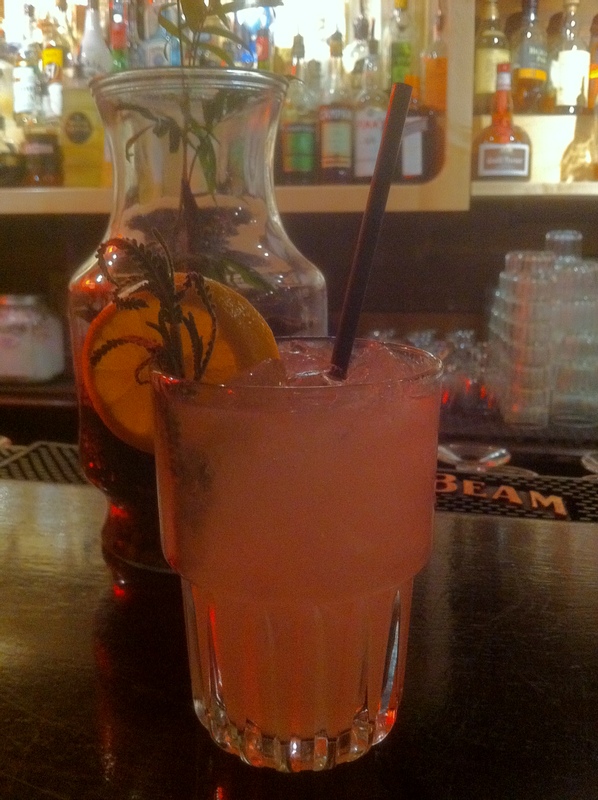 Named after the Valentino movie of the same name it has scotch, cherry herring, sweet vermouth and orange juice. I had read about the drink but never tried it so I ordered one and the lovely young lady behind the bar didn’t bat an eye or ask me what was in it. The only downside was that service runs a little slower than you might be used to. A well-made cocktail takes a little bit of time, as do most of the specialty cocktails that Japp’s is famous for. As the bar filled up closer to six it got harder and harder to catch a bartender’s eye but frankly I enjoyed the time catching up with a friend and enjoying the wonderful jazz band who was playing in the corner. I have a suspicion that I will be making 33 cent martini’s a Friday happy-hour tradition. If you want to hear more from Molly Wellmann, discussing Japp’s, cocktails, and the history of the building you can hear my two-part interview with her on The Charlie Tonic Hour starting with Episode 15.